PRINCE Charles received a hero's welcome at Lady Elliot Island this afternoon, with tourists flocking to see the heir to the throne. Holidaymakers visiting the small tropical island gathered near the grass airstrip as the Prince of Wales arrived from Bundaberg. He spent several minutes talking to the crowd, even joking with one group about how he hoped he hadn't ruined their holiday. 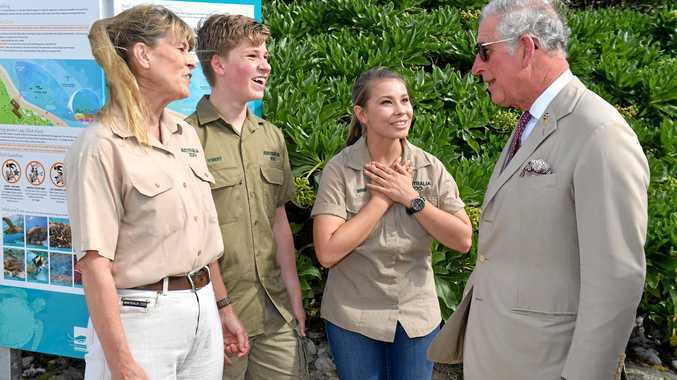 Prince Charles was then greeted by Terri, Bindi and Robert Irwin. Dressed in their trademark khaki shirts, they shared a laugh about how he was dressed in the same coloured suit. Robert Irwin, a keen photographer, presented him with a canvas of a photo he had taken of a sea turtle. The Prince of Wales then had the opportunity to hold a turtle hatchling, before he made his way to a roundtable discussion with some of Australia's most prominent business leaders. Executives from BHP, Qantas and LendLease all gathered on the island for a round table discussion about how to better protect and save the Great Barrier Reef. Prince Charles, a passionate conservationist, went on a boat tour before returning to Brisbane. During the visit, businesses and governments announced their support for a Great Barrier Reef Foundation initiative to establish a network of climate change refuges to protect critical habitats and species across five Great Barrier Reef islands. Leading property and infrastructure company Lendlease will invest $5 million over 10 years and the Australian Government will match that investment dollar-for-dollar to complete the ambitious $14 million program that began with a significant philanthropic donation and matched funding support from the State Government. Great Barrier Reef Foundation managing director Anna Marsden said protecting and restoring the Great Barrier Reef's most precious land and seascapes in the face of climate change was a priority, especially in light of the current pressures facing the reef. 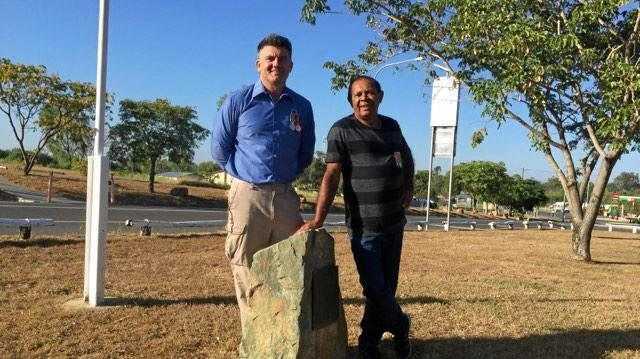 "Islands are a critical part of the whole Great Barrier Reef ecosystem and play a key role in the life cycle of so many species of flora and fauna, from turtles, dugongs and fish, to seabirds, corals and so many more," Ms Marsden said. "Both global climate change and local threats are impacting Great Barrier Reef islands and the animals that depends on them, and these impacts are only projected to increase into the future. We have to act now to ensure the most critical climate refuges are maintained and indeed future proofed against whatever might come their way," she said. Ms Marsden said by working to restore and protect these island refuges, we're essentially creating a series of "arks" to help reef wildlife and plants to survive in an increasingly challenging environment. Lady Elliot Island is home to a most amazing array of seabirds, turtles, manta rays, dolphins, sharks and coral reefs.